View cart “Gift Certificate $100” has been added to your cart. Nakaniohula Gift Certificates make gift giving easy, and are perfect for any occasion. With a Nakaniohula Gift Certificate, friends, family members, and business associates can buy the products of their choice, anytime! 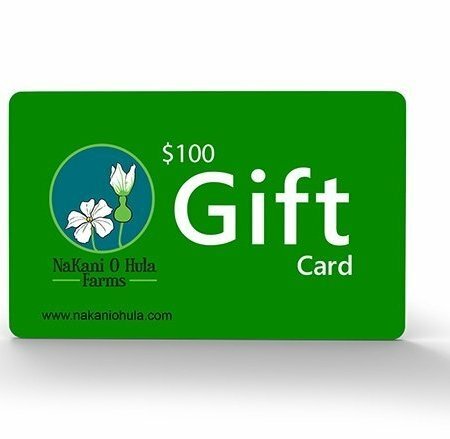 To purchase a Nakaniohula Gift Certificate simply select an amount, and then click “Add to Cart.” When you “proceed to checkout” provide us with the recipient’s name, e-mail address and a personal message. We will send an e-mail to the recipient, with the amount you selected. At Nakaniohula – Gift giving has never been easier!